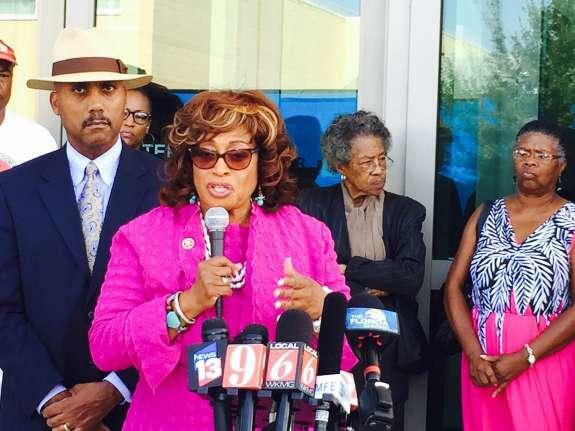 U.S. Rep. Corrine Brown announces her federal lawsuit to block new district maps. “It’s about drawing districts that put communities of interest together. Jacksonville Florida has nothing in common with North Florida," said Congresswoman Corrine Brown. She won't allow her district to be changed without a fight, and recently announced a lawsuit to stop that from happening. Brown's Congressional District 5 seat runs North to South from Duval down to Polk and Osceola. It’s one of several districts the Florida Supreme Court ruled unconstitutional. Now legislative map crafters have proposed a solution to the issue—a new Congressional district five would run East-to-West—from Jacksonville, into Tallahassee. That plan, proposed by the groups who sued the legislature in the first place, would split Leon County, a democratic stronghold in a sea of North Florida Red. Brown’s not alone in her rejection of the latest congressional district proposal. Local Democrats don’t want the county split, but neither do Republicans, says Leon County Republican Party Chairman Evan Power. “We have more in common in Leon County with Bay county than we do with Duval County," he said, echoing Brown's sentiment. The new state plan has an appendage that sweeps part of Tallahassee into Congressional District 5—Brown’s territory--and moves the rest of the County into a redrawn Congressional District 2—Congresswoman Gwen Graham’s seat. It also tilts Graham’s district more in favor of Republicans. Mary Thomas, a Tallahassee attorney and appointee of Governor Rick Scott—has already declared she’ll run in the New Congressional District 2. And Panama City Surgeon Neal Dunn says he’ll jump into the ace as well. But Matt Isbell, a political analyst, says he believes the configuration of those two districts may not hold. Still, the news isn’t all bad for Democrats. Isbell says the proposed map actually gives that party a slight edge in seats. “Overall Democrats are projected to lose CD 2 because it becomes much more rural, but they should gain CD 10 which is Webster and CD 13 which is Jolly’s. So Democrat’s should, from redistricting, gain 1 seat—assuming all that goes according to plan for the party," Isbell told reporters in a phone conference after the proposed Congressional map was released. Republican Congressmen Daniel Webster and David Jolly could be replaced—and one Democrat already checking Jolly’s district is former Governor, Charlie Crist. The proposed map also draws U.S. Representatives Lois Frankel and Ted Deutch into the same district. One will have to move. 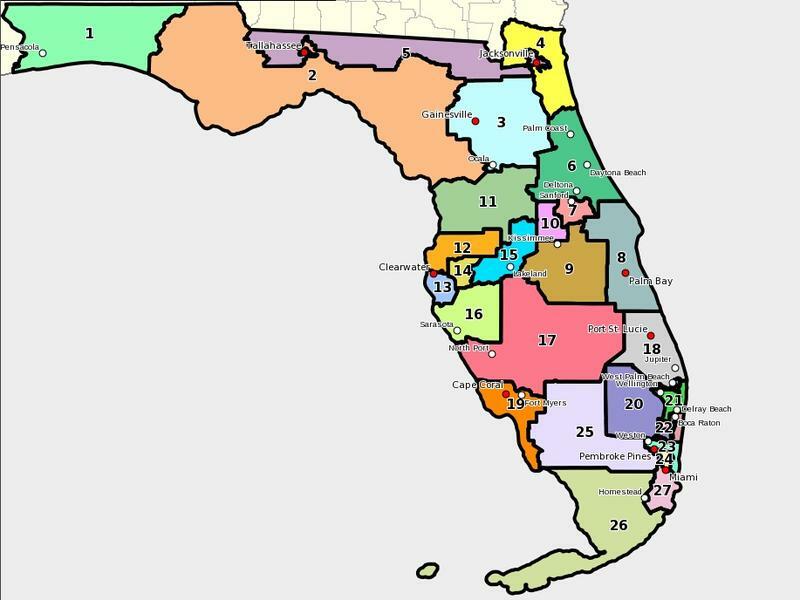 The Florida Supreme Court invalidated eight districts in the last round of redistricting lawsuits. But in order to fix those eight, the state is having to redraw most of the remaining 27 districts. 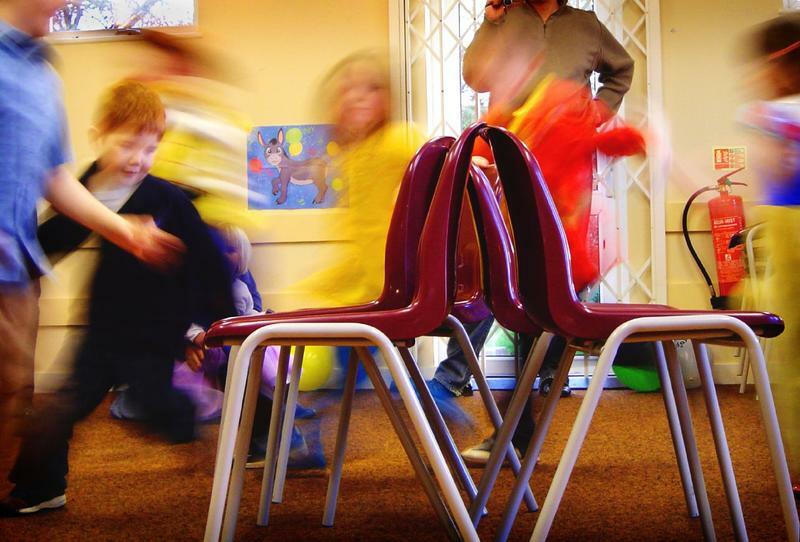 The proposal revealed ahead of the August 10th start of the second of three overtime lawmaking sessions redraws 22 districts. But it is also only a starting point. And before lawmakers are done, the lines could shift even more.